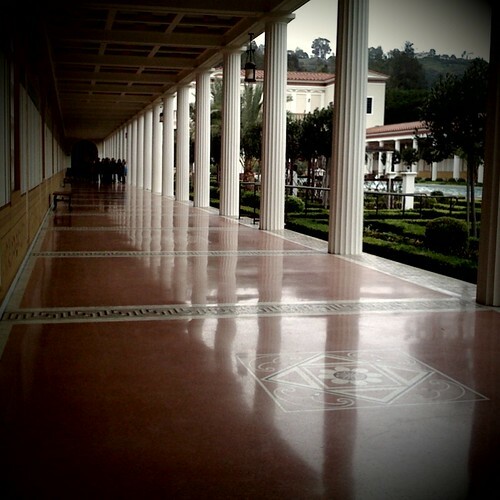 Just one more snap I shot with my iPhone while birthday'ing at the Getty Villa with Farilla yesterday afternoon. If you haven't yet visited the Villa in Malibu I highly recommend booking a reservation with lunch in mind. The food at the Cafe never disappoints. Despite the drizzle we were still able to enjoy covered patio seating (with an ocean view) next to a heater. Righteously delightful!